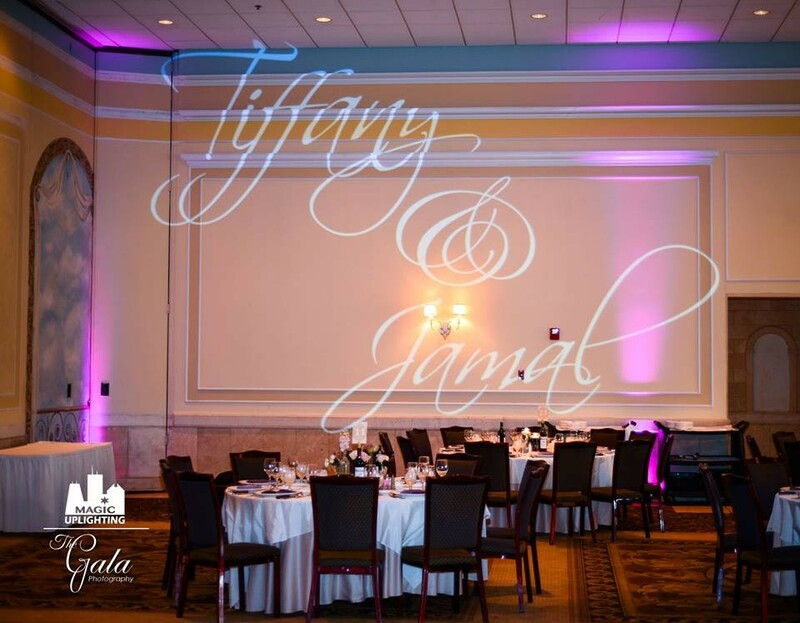 Gobo Pattern Projectors are an affordable lighting addition to your magical event. 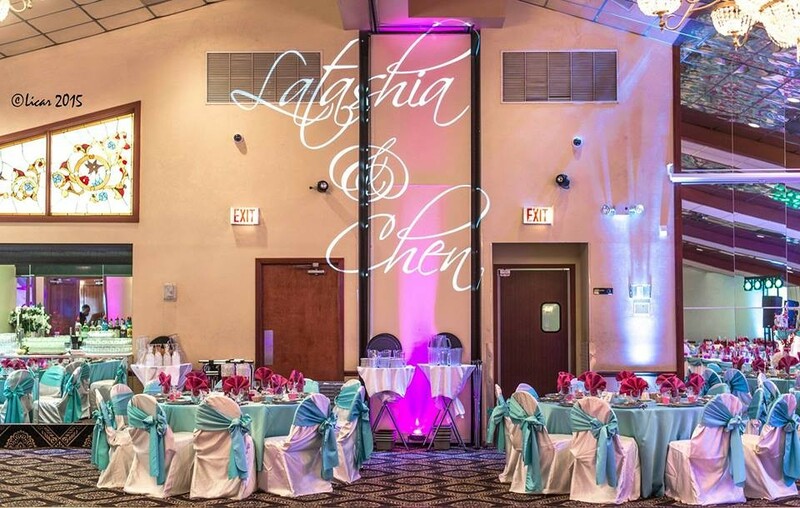 These projectors will illuminate a wall, ceiling, or floor with a specific name, phrase, or pattern. 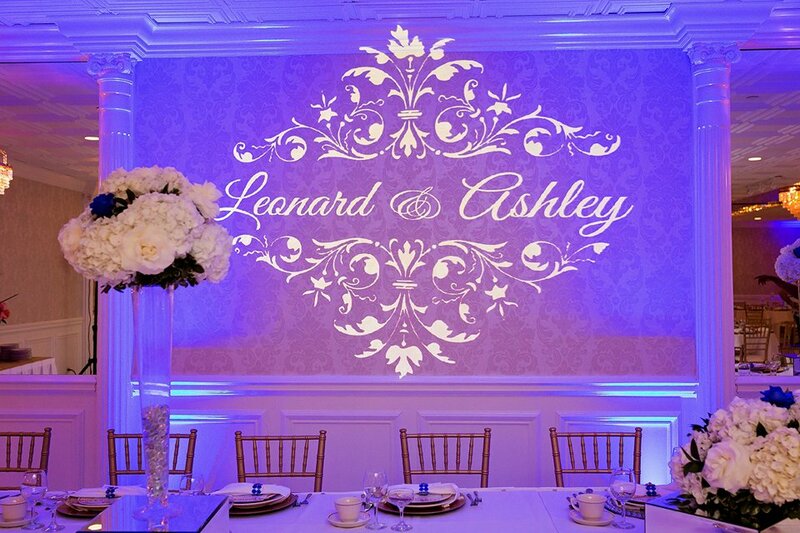 They are most commonly used at weddings to project the name, or monogram (last initial) of the bride & groom, together with the date of the event. Some Companies use these for Corporate or Holiday Functions. They are also used at Birthdays, Quinceareas, Baptisms, Sweet 16’s, and Mitzvahs!